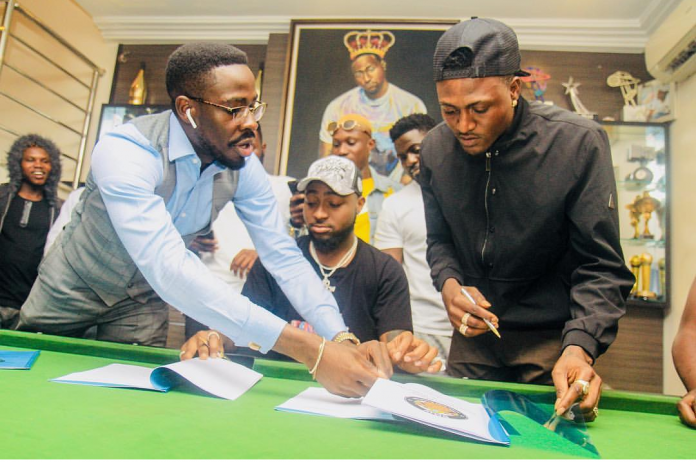 Davido Music Worldwide (DMW) has sign a new artist, Idowest to DMW. Headies Awards “Artist of the Year” 2018 winner Davido is puting more artsite to his flourishing record label. A new artsite has been sign & the pronouncement was made by the label boss. “Omo Shepeteri” Idowest is now officially a member of DMW. The shaku shaku star has been connected with DMW for a while before his official signing was done now. Davido before has disclosed on Twitter that he would be revealing a new artist soon & left fans to imagine who it would be. DMW is about the 2nd largest record label in Nigeria after Don Jazzy’s Mavin Records. The record label has stars such as Yonda, Peruzzi, Ichaba, Dremo, Mayorkun etc.